Why do we need a new approach to leadership? We live in an increasingly complex, fast-paced and interconnected world, where breakthrough technologies, demographic shifts and political transformations have far-reaching societal and economic consequences. Our societies increasingly face systemic challenges that cannot be addressed through the conventional linear approach of hierarchical corporate and governmental structures. Unprecedented collaboration among the different stakeholders at organizational, sectorial, municipal, national and international levels will be progressively required to find smart and sustainable answers, transforming complex problems into abundant opportunities. Sensing this growing need, numerous initiatives have emerged in recent years – locally, regionally and globally. Yet, in many cases these initiatives had no, or only limited, impact, partly because they failed to foster collective leadership within and across the collaborating organizations. Consequently, we can observe a growing controversy in the leadership literature, pointing out that leadership models designed for the past decades may not completely capture the leadership dynamic needed in organizations operating in today’s knowledge-driven economy. The future demands collective leadership that is visionary, innovative, agile and adaptable. In this context, system theory reframes leadership by focusing on the dynamic interactions between all individuals, explaining how the interactions can, under certain conditions, produce promising outcomes. The profound changes needed to accelerate progress on society’s most pressing problems require distinctive leaders. The recent literature on organizational behaviour calls them systemic leaders – able to lead organizations, systems, industries, communities and even nations through transformative change. This new type of leadership does not reside at the top of a hierarchical structure and does not work if it is authoritarian. Systemic leadership is exercised through inspiration, by means of accelerated interaction and at any level in any organization. Indeed, it develops its full potential only when it is mobilized from grass-roots level. Systemic leaders understand and encourage the dynamics of intensified interaction at all levels, to generate beneficial effects in the entire system. They inspire people, teams and entire organizations to pursue the change it will take to achieve aspirational goals. When do we need a new generation of systemic leaders? More than ever before, organizations around the globe trying to address today’s complex challenges or responding to radical change need systemic leaders. “As these new systemic leaders emerge, situations previously suffering from polarization and inertia become more open, and what were previously seen as intractable problems become perceived as opportunities for innovation,” says Peter Michael Senge, systems scientist and senior lecturer at the MIT Sloan School of Management. Systemic leadership is not new. What is new is that we need more systemic leaders if we are to actively successfully shape a sustainable and prosperous future. What leadership aptitudes do you need to become a successful systemic leader? 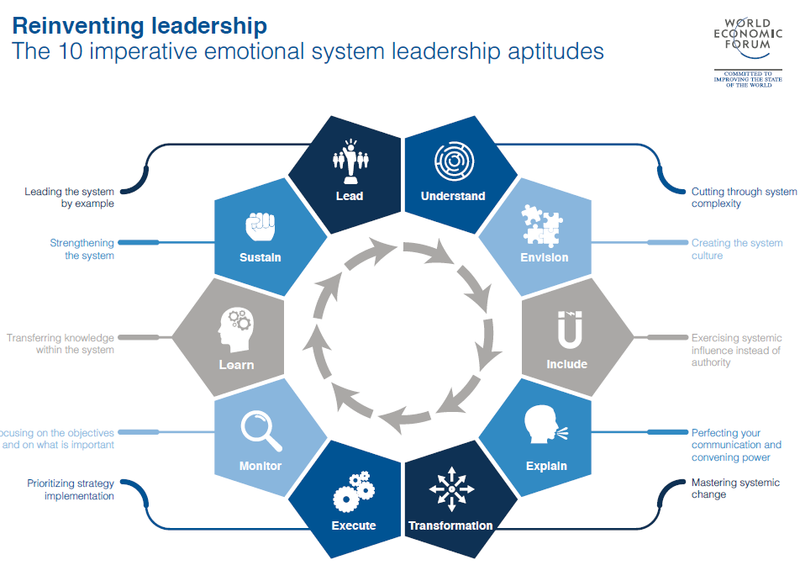 Successful systemic leaders demonstrate 10 imperative leadership aptitudes: lead, understand, envision, include, explain, transform, execute, monitor, learn and sustain. Read more on what it takes to be a systemic leader here .